President Barack Obama will greet Pope Francis at Andrews Air Force Base when the pontiff arrives from Cuba later today. The pope will meet with President Obama at the White House, address Congress, speak at the United Nations in New York on global warming, and conduct a mass in Philadelphia during his six-day visit. The Ball State University Libraries’ GIS Research and Map Collection (GRMC) creates unique collections of historic maps available from the Digital Media Repository (DMR). American Cities Historic Maps features maps of American cities dating from 1855 through 1921 depicting a unique urban view at the turn of the century. The collection features street maps, topographic maps, park maps, city planning maps, and maps of coastal city harbors. (The original maps are available in the GRMC on the second floor of Bracken Library). This collection includes historic maps of cities visited by Pope Francis. A map of the National Mall (above, click to enlarge) in Washington, D.C., was published by the Park Commission in 1915. The map includes existing and planned development on the mall. 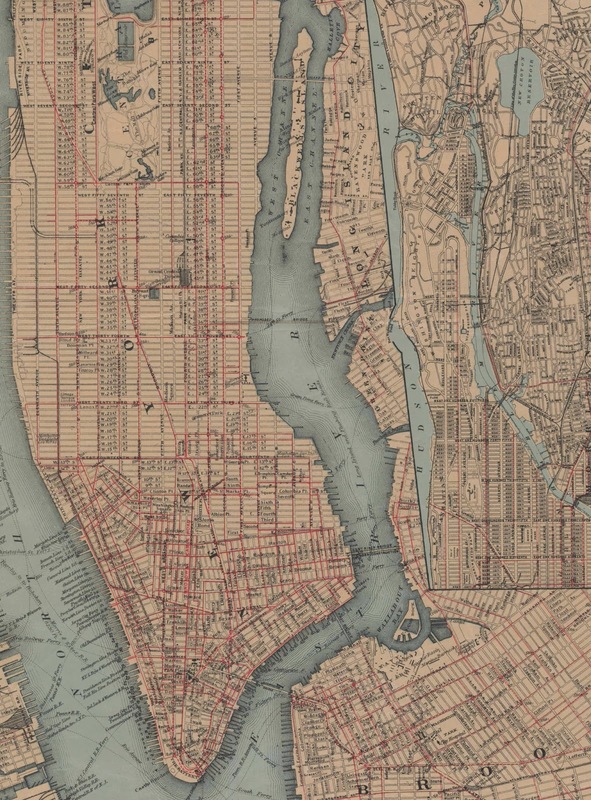 Maps of New York included in the digital collection include an 1888 map showing the south part of the city to Brooklyn toward Hoboken, New Jersey. 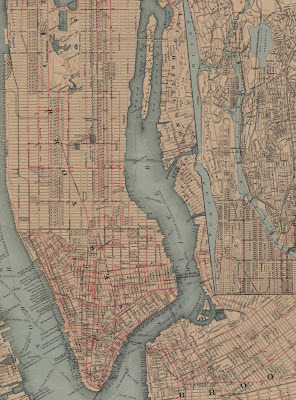 An 1896 map of New York (above) includes the location of steam and elevated railroads. The collection also includes a 1907 map of Bronx and a 1914 map of Manhattan that shows the location of post offices and postal districts. An 1888 map of Philadelphia in the collection was published in the Pioneer Press Standard Atlas. This map includes radial distances from city hall and Delaware River frontage. Other map collections in the DMR include historic maps of the Ball State University campus, Indiana historic county atlases, natural resources maps of Indiana, and Sanborn Fire Insurance Maps of Muncie. United States soil and topographic maps are also available as digital collections, as well as a collection of historic maps showing changes in the course of the Mississippi River. New York Times World War I maps and international historic maps are other digital collections from the GRMC. Users can download maps directly from the DMR in various file sizes. The maps may be used for research and learning.